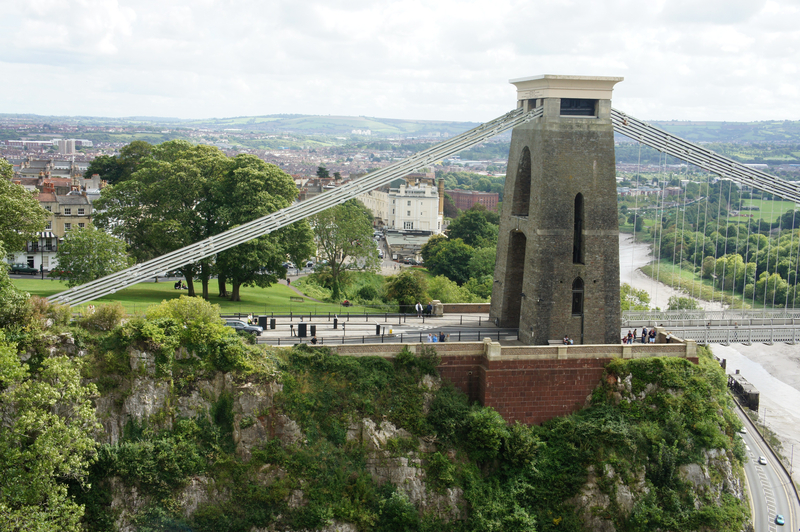 We are very proud to have been involved in the launch of this white paper on 7th February 2019 at Hargreaves Lansdown’s offices in Bristol. Jungle Green’s research on culture, confidence and choice (Women in the Boardroom) was designed and commissioned by Sarah Pinch. She has expertly communicated the findings in this document along with recommendations and a call for us all to act promptly and with vigour. In 2004 Serco and Abellio won the franchise to run train services across the North of England and formed Northern Rail. Over time, a ‘Northern’ culture became established, which is reflected in Northern Rail’s values and actions. This culture is formed around a desire to deliver local railway services that the North can be proud of and that really work for everyone. A key element of Northern’s culture is a strong focus on community rail. For example, Northern recognise the value of the work of Community Rail Partnerships (CRPs) and currently sponsor 18 CRPs, more than any other train operating company. These CRPs work to bring together the railways and the local communities. Their work includes bringing station buildings back to life, art and education projects and organising special events which promote the railway and its relevance to the community. Building on this community focus, Northern wished to set up a Community Ambassadors’ Scheme to promote the use of rail services with Black and Minority Ethnic (BME) and socially excluded groups on their network. It was to be modelled on a concept developed earlier by Serco on Docklands Light Railway, based in London. Northern hoped that a fresh, more direct approach would attract new users onto the railway and help them to build positive relationships with communities where traditional marketing had made little impact. To understand the barriers these potential new rail users faced, Northern recruited Ambassadors who had strong links with the targeted areas. They also commissioned Jungle Green to conduct a significant programme of research activity running throughout the pilot period of the scheme. Through the Ambassadors’ knowledge and hard work, coupled with the detailed feedback from the research programme, Northern were able to support people and break down perceived barriers to travel. 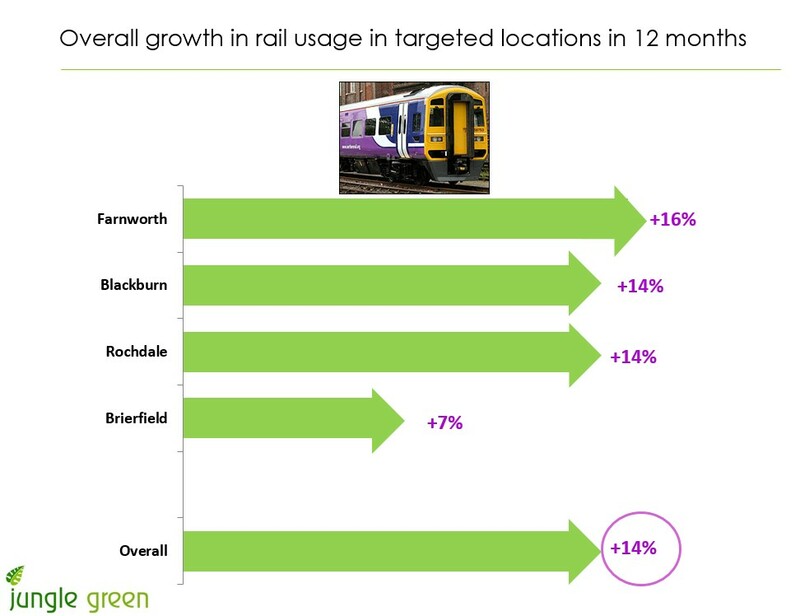 In some cases their work also led to increased footfall at the local stations and, even more importantly, a legacy of train use has been built which will continue for years to come. The following chapter explains how the scheme and the research were approached, the lessons that were learned along the way and the real difference that has been made to the people who have taken part. Northern are immensely proud of what the Ambassadors have achieved. The Northern Rail Community Ambassadors’ scheme was created to promote the use of local rail services at BME and socially excluded groups on the network. Initially, this focused on four locations in the North West: Blackburn, Brierfield, Rochdale and Farnworth. These locations were selected due to the population profile including a high proportion of the target groups. 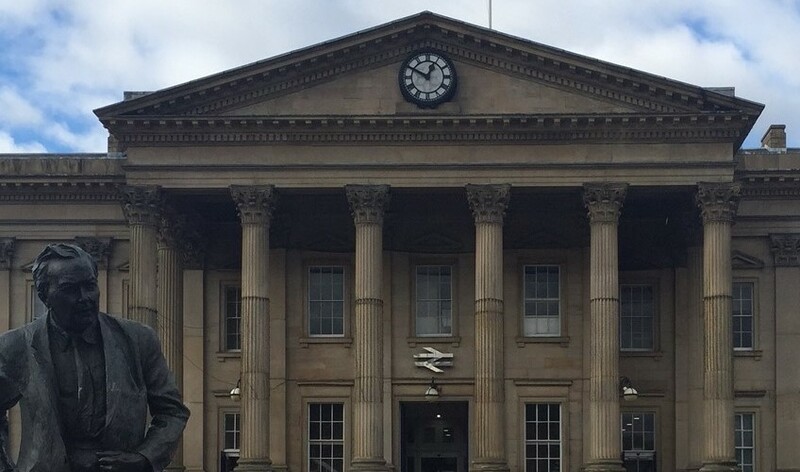 Together with Northern’s colleagues at the Department for Transport (DfT), Transport for Greater Manchester and the East Lancashire Community Rail Partnership, they wanted to understand and then break down the barriers to rail travel. Moving away from their normal recruitment process, Northern conducted a mail-drop in the relevant locations and used posters in local shops and community centres to attract people from within the communities. Following this process, four part time Ambassadors (working 16 hours per week) were recruited to join the full time Project Manager. 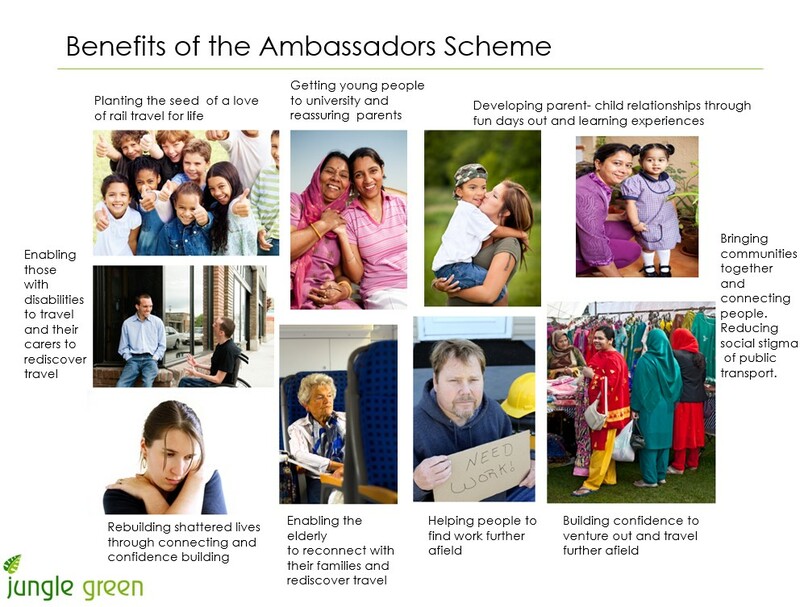 To help the scheme gain momentum, Ambassadors with strong local knowledge and existing relationships within the targeted communities were recruited. Excellent communication skills were also essential and so to overcome the language barrier, Northern recruited a team who were fluent in Punjabi, Urdu and Hindi. On a day-to-day basis, the Ambassadors were involved in a range of activities such as visiting community and faith centres, giving talks to local groups and organising group accessibility trips to show people how easy it is to use rail services. The Ambassadors deliberately targeted a wide range of people including the elderly, job clubs and colleges. Where English was not the first language, the trips were often conducted in Urdu or Punjabi and they were tailored to each group, taking them to a local destination which they would find interesting or useful. Despite serving areas of high multi-ethnic communities, Northern had yet to engage in any systematic way with socially-excluded ethnic minority communities, and indeed some socially excluded indigenous white communities. If Northern were better able to engage with these communities they believed there would be benefits in terms of revenue and ridership growth, reduced anti-social behaviour and stronger stakeholder relationships with groups representing ethnic communities. There were several dimensions to a successful outcome for the Northern ambassadors. The aim of the research evaluation study was to provide Northern with transferable lessons about whether the ambassador pilot and specific elements of it had worked or not and why. Based on the evidence from across the pilot areas, identify what types of ambassador interventions were most and least successful and why; what transferable lessons about the design and delivery of a successful community ambassador scheme could be drawn from across the pilot areas and could be applied to other similar areas. As the evaluation research ran largely in parallel with the 12 month pilot, the research was to focus initially on gathering relevant baseline data. The data was to be used to influence how the pilot ambassadors worked in their particular locations. Towards the end of the pilot, Northern expected there to be some evidence of what was or was not working and the researchers were expected to obtain and analyse relevant data and undertake surveys of local residents as required. The results from this data analysis and further surveys was to inform the final report and transferable lessons. 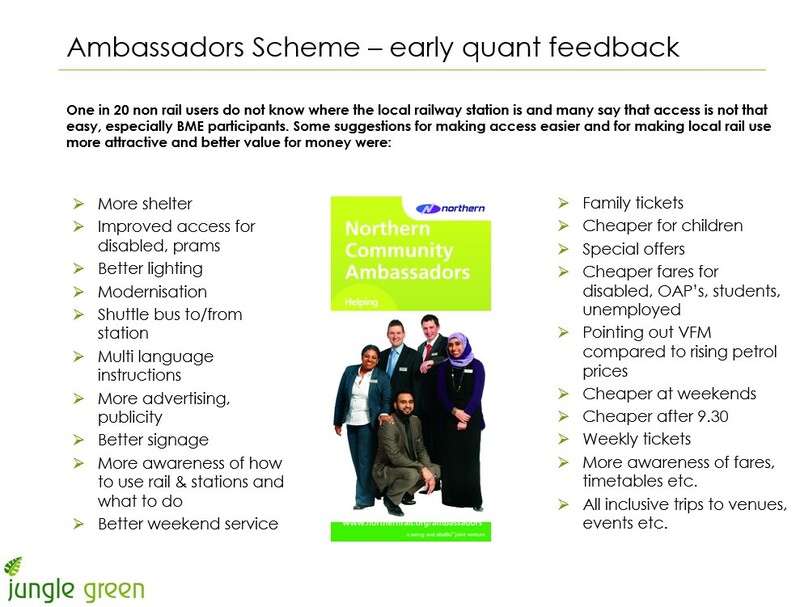 The ultimate aim of the extensive research programme, running alongside the pilot phase of the Ambassadors’ scheme, was to help Northern and their partners to create a Community Ambassador Scheme blueprint that could be replicated by or provide valuable transferable lessons for other transport operators or similar organisations wishing to introduce such a scheme. Northern were looking for a research partner with whom they could work very closely and one that they could trust to conduct the research in a sensitive, professional, efficient and highly effective manner. The scale of the project clearly required competitive tendering and Jungle Green were delighted to be successful in being awarded the project. Jungle Green and Northern had conducted many research projects together since 2006. 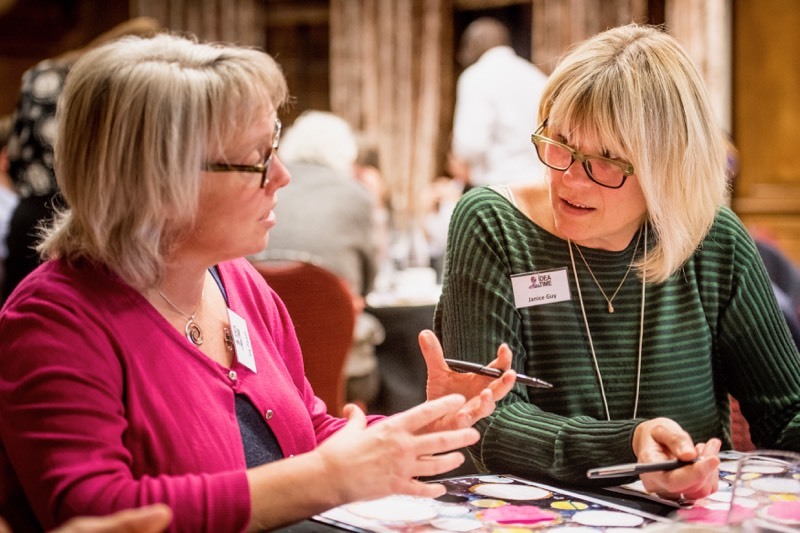 This wide experience of the network and the partners involved enabled the research company to understand the context of the project in some depth and to design a varied and creative programme of research activity. The research clearly needed to be conducted on the ground in the specific communities, face to face, with translators where necessary. There was a need for both quantitative research to measure impact and qualitative research to gain a deep understanding of the needs, feelings and behaviours of the targeted groups. A number of personal case studies were also prepared to bring the research findings to life. During the early months of the pilot scheme, initial quantitative research was carried out to set a baseline to measure against and to provide Ambassadors with information to aid in their work. A sample of residents, representative of the population profile in each of the targeted areas, was interviewed. 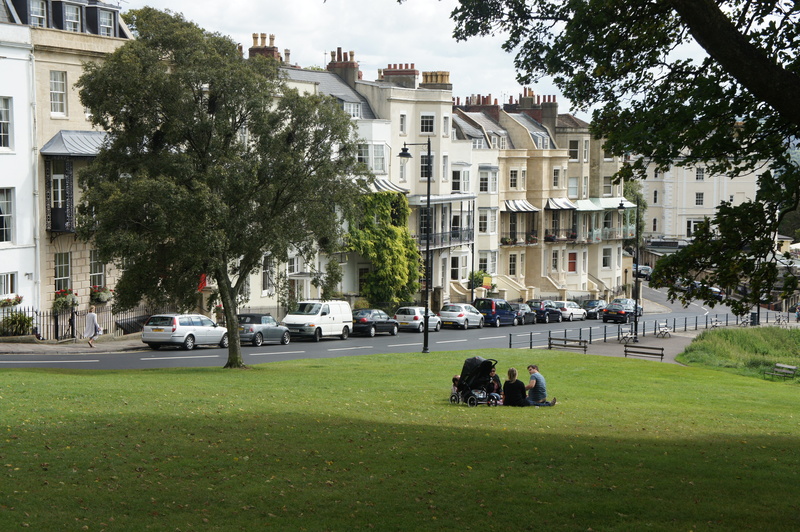 Key sample points (usually busy high streets and market areas with proximity to local community facilities) within each community were selected and a shift pattern was carefully programmed to cover weekdays, weekends and early mornings through to late evenings. The sample points, profiles and shift pattern were all to be repeated exactly in the follow up research. The early research focussed on current feelings and behaviours relating to the use or non-use of the local rail network. This included rail awareness, process knowledge, any current or past rail usage, perceived barriers to rail usage and ideas on how these barriers could be reduced. There were also questions on the use of other modes of transport. Many of the people encountered in the research had little or no experience of using rail services and they believed them to be expensive, complicated, unreliable and unsafe (particularly for females). It was interesting to note that those who held these concerns were those with the least experience of actually using the local rail services. The views they held were based on their perceptions of what using a rail service would be like, rather than any direct experience. This made it clear very early on in the pilot, that helping people in these communities to experience the rail service would enable them to form opinions based on reality rather than perception. Accessibility trips facilitated by the Ambassadors had the potential to change perceptions through real experience. The Ambassadors worked hard to overcome the negative perceptions and found that reassurance could be provided by simple acts such as providing examples of journey opportunities and prices. Similarly, on the safety question, people felt much more confident once the CCTV cameras were pointed out to them and they understood that they could contact the conductor if they were concerned during their journey. Explanation of group ticketing, off peak travel and other fare offers informed the communities on cheaper ways to travel. At the end of the pilot scheme time period, the quantitative research programme was repeated and measures of impact were thus produced. It was clear that the Ambassadors’ Scheme was having significant impact. This was backed up by evidence of increased ticket sales in these locations. In addition to the quantitative research, a series of groups, mini groups, community workshops, friendship depth interviews and observations were conducted. In all cases a representative from the specific local community involved was present, along with any necessary translators. The Ambassadors themselves also took part in the research process so that their experiences and learnings could be included in the eventual blueprint. The primary aim of the qualitative research was to gain a greater understanding of the impact of the scheme among those exposed to it. It was evident very quickly in the qualitative research that the impact ran deep. The qualitative insights that emerged revealed that one of the most significant contributions that the Ambassadors’ Scheme accessibility trips had made in these communities was to raise confidence levels amongst those with low levels of self-confidence, such as those who had suffered domestic violence, the elderly and infirm, young teenagers, single mothers and Asian women. This confidence raising had very often led to repeat use of the train independently, which was something many of these participants would never have considered doing previously. The increased confidence levels were not only self-reported by participants but mentioned by the group/community leaders also interviewed in the qualitative research. It was also evident from the increased rail trips made. The accessibility trips, where individuals and groups were introduced to and accompanied by an Ambassador on a rail trip, had opened participants’ eyes to the relative ease with which rail trips can be made and had broken down the negative perception barriers (identified in the early quantitative research) of rail travel being expensive, complicated, unreliable and unsafe. Word of mouth in these close knit communities was prevalent. Those who had experienced the accessibility trips were telling their friends and family and taking them with them on future trips independently. The social stigma of public transport among BME communities was being replaced with a view that it is for fun family trips – replacing a common view that travelling by train was a sign that no one in your family cared enough for you to drive you to where you need to go. Many mothers were now taking their young children on trips in the holidays, revisiting locations they had encountered on the accessibility trips and venturing to new ones too. The elderly and disabled had been reintroduced to rail travel. Both they and their carers were feeling more confident about using the train in the future. Family members and friends, that had not seen each other regularly for a long time, were being reconnected via rail travel and those seeking work had been encouraged to look further afield and travel there by train. The Ambassadors had become highly respected and very popular figures in the local communities in a very short time. Much of the uncertainty about rail travel had been removed for many of those that the Ambassadors engaged with. The scheme lessened many of the unknowns about rail travel for those with a language barrier, making this less of an issue in the future. Station location awareness had increased and the reputation of the rail industry improved in these neighbourhoods, especially in terms of accessibility, value for money, ease of use and caring about the community. A separate document of People’s Stories was prepared by Jungle Green to help bring the findings to life. The following are snippets from this document, in the words of the research participants. From early 2012, the scheme was jointly funded by Northern and the Citizens’ Rail Interreg IVB project. As the scheme became established, a part time Project Manager and three Ambassadors collectively worked a total of 75 hours per week. Instead of focusing on a single location, they worked along circular lines of route between Burnley, Rochdale, Bolton and Blackburn. In the second phase of the scheme, focus on the local student communities increased, hoping they continue to use the railway as they move into the world of employment. This approach enables Northern to reach more of the BME and socially excluded communities which they serve, helping them to use local rail services and improving their access to employment, education and leisure opportunities in the region. In December 2015 (as this chapter was being written) the Department for Transport announced Arriva as the new franchise holder for the Northern network. The new franchise period starts in April 2016 when the new franchisee will make clear plans and programmes for the future. The Community Ambassadors’ Scheme has the evidenced scope to contribute towards this aim. Jungle Green hopes that the research and subsequent blueprint document can help the new franchisee to set out their plans for future community rail initiatives. This was, and still is, one of the most satisfying projects Jungle Green researchers have undertaken. The research produced a rich array of findings and more than answered the original objectives set. The researchers took away a number of insights from the project and these have proved valuable to them in their work since. A project of this nature requires a small dedicated team of two or three people. Enough to share thoughts and cross reference but not too many to miss the benefits of deep immersion in a project. When referring to qualitative research, Jungle Green now always tries to use the term ‘immersion days’. This helps all involved to focus on what qualitative research really is. The importance of ensuring that participants from all backgrounds feel comfortable enough to speak openly and candidly about their lives was clearly evident in this research. Many different venues, appropriate escorts, translators and different methods of capturing the research findings were all key considerations in this project. Researchers are in an extremely privileged position. Every day they have the chance to meet extraordinary people living ordinary lives, who share their thoughts and feelings on all manner of topics. Some of these topics are simply interesting and some can be fun to listen to. Others run deeper and stay with the researcher for a very long time; this project was one of those and Jungle Green actively seeks out projects of a similar nature. The experience on this project, and other factors, led to a number of other projects being awarded to Jungle Green by a variety of health and charitable organisations. It has also been valuable in informing the company’s approach to commercial projects involving ‘brands with purpose’. The learnings from this research piece have had wide application in Jungle Green’s extensive rail research. If individuals are not habitual train users or have not travelled by train for a long time, it is common to find that the perceptions held of what travelling on a rail network would be like centre on complexity, personal security issues, expense and unreliability. This is found to be true for people from a wide variety of backgrounds. These negative perceptions can often be transformed through the simple encouragement and incentive to take a rail journey and gain current experience. 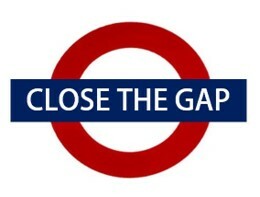 ….. the research not only identified the key quantitative measures we needed but also transferable lessons which could be used by other train operators and organisations wanting to establish a similar scheme elsewhere in the country. This covers lessons learned from establishing the scheme with community group leaders, which activities were the most and least successful and suggestions from the Ambassadors for future improvements. We have currently collated these lessons into a booklet available for all stakeholders and interested parties at Northern. 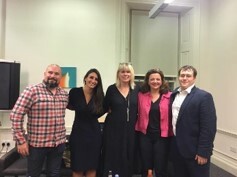 We recently attended the launch of Big Bang Partnership’s Idea Time. This is aimed at enabling you, as an individual, to achieve your BHAG (big hairy audacious goal) and receive personalised leadership development from Dr Jo North. Jo ranks alongside Richard Osman as one of Jungle Green’s all time favourites. Your life will never be the same again once Jo has got your back. 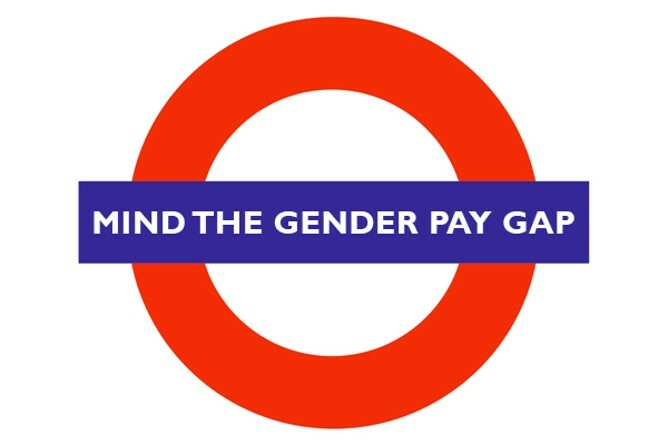 Following the legal requirement for all organisations with 250+ employees to publish their gender pay gap (GPG) statistics, Jungle Green has been conducting exploratory qualitative research among employees in organisations of all sizes, large and small. Individual depth interviews, focus groups and/or workshops aim to uncover and explore how the GPG may have evolved within a given organization or industry. Then crucially, we look to establish what steps and actions need to be taken to redress any imbalance. Research has typically focused on the element of the GPG that relates purely to being male or female, as opposed to more obvious factors such as length of service, hours worked etc. Powerful insights have emerged from these discussions. Individuals have felt able to speak frankly and honestly. Jungle Green is a Market Research Society Company Partner and operates under its strict code of conduct. Thus, findings remain anonymous and interviews are conducted with respect and professionalism. Discussions are often conducted away from the workplace to provide a neutral and secure space in which to talk. Interviews are carried out by Janice and Abby, senior research professionals from Jungle Green, each with at least 20 years of qualitative research experience. Participants include a mix of those proactively opting to take part in the research and others invited at random, both female and male. We also use online conversations and surveys to increase scope and coverage. The first GPG project undertaken by Jungle Green for the CIPR in 2016 has been published. This will help you see how an action plan can be developed to redress the GPG. Read the report here. A panel discussion followed, and more are planned. A conference is taking place in May 2018 to further the work being done on this topic. Jungle Green will be conducting focus groups at this conference and the findings will be used to produce a government white paper. Budgets for the exploratory qualitative research range from £8,000 to £20,000 representing projects ranging from 15-20 individual interviews through to a mix of individual and group interviews/workshops. Reporting is divided into contributory factors and an action plan. Research is tailored to suit each client organization or industry body and projects take between 6-12 weeks to complete. 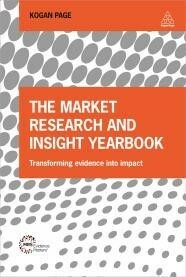 The Market Research & Insight Yearbook: Transforming Evidence into Impact brings together for the first time an exclusive selection of case studies featuring the highest calibre examples of market research. Authored by MRS Patrons, Award Winners and Finalists of the MRS Annual Market Research Awards and other recommended MRS parties, the book illustrates the absolute best in contemporary practice. Each company featured in The Market Research and Insight Yearbook is not only changing the way we think about market research, but telling a powerful story. By showcasing excellence, innovative methodology and then remarkable results, this book offer a unique insight in to leading market research in practice to demonstrate the power of curiosity and insight for change. Buy the book click here or read our chapter here.